The USA has passed the Frederick Douglass Act, a bill devoting $430 million to fight human trafficking. The legislation, co-sponsored by Republican Chris Smith and Democrat Karen Bass, increases the government’s role in preventing trafficking and protecting victims in the US and abroad. It will provide accommodation and counselling for victims, prevention lessons for children and will help airline staff to identify possible victims. It will also fund projects that should both prevent government money going to traffickers and disrupt trafficking supply chains in business. 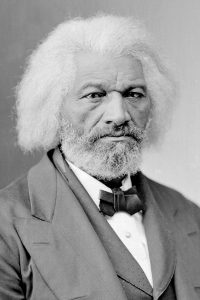 The bill was supported by both major parties and was named in honour of Frederick Douglass. Born into slavery about 1818, Douglass became an American diplomat and campaigned to abolish slavery.